Your WP Ad Server, generated by the CM Ad-changer plugin can serve advertisement banner to a large number of client sites simultaneously. 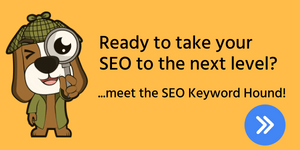 In fact, The client-side of the plugin can be installed on as many websites as you want. 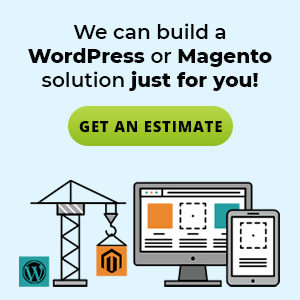 No matter how many websites you’re publishing on, your WP ad-server can handle it! The following diagram shows six client sites connected to one central WP ad server. The Ad Changer client-side plugin is installed on each of these client websites. The Ad Changer server automatically generates a log of statistics that shows which client websites are connected to the server and when their banner ad campaigns are set to run. In this example, 8 client sites are connected to the Ad Changer server-side plugin and are provided different banners for different periods of time. 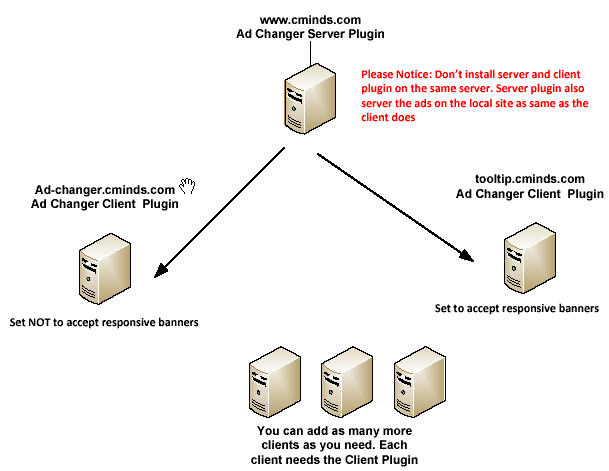 The Ad-Changer server-side plugin can also manage and limit the number of connections available to external clients and customized to the settings of each banner ad campaign. If a limit to the number of clients allowed is not specified, all requests for connection to the ad-changer server will be accepted. 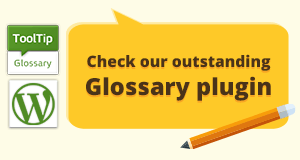 If specified, as in this example, only a limited list of domains will be allowed to connect and be served banners.